It's time for a new challenge at House Mouse and Friends Monday. 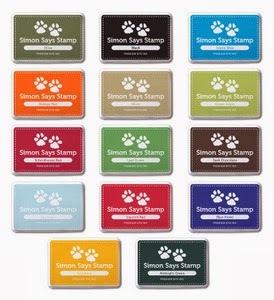 This is the sweet stamp I chose. That's three fabulous prizes. But you gotta be in it to win. All rules are on the challenge blog. The design team has come up with some awesome inspiration for you, so please hop over to the blog and check them out. This challenge runs through Saturday June 14th at Midnight. Would love for you to join us, we love to see what you come up with. 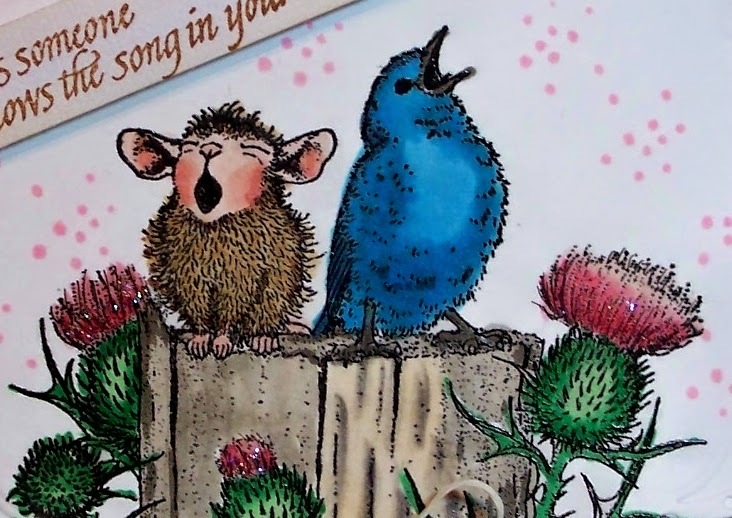 Hi Sue wonderful card, I wonder if the wwe mouse and his friend are singing a Scottish song seeing they're amonst Scottish thistles. 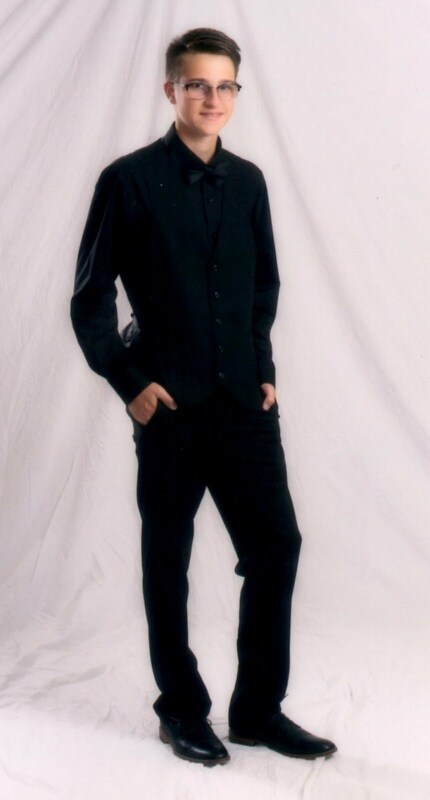 Sue, your card is darling! Love the layers and all of the detail! 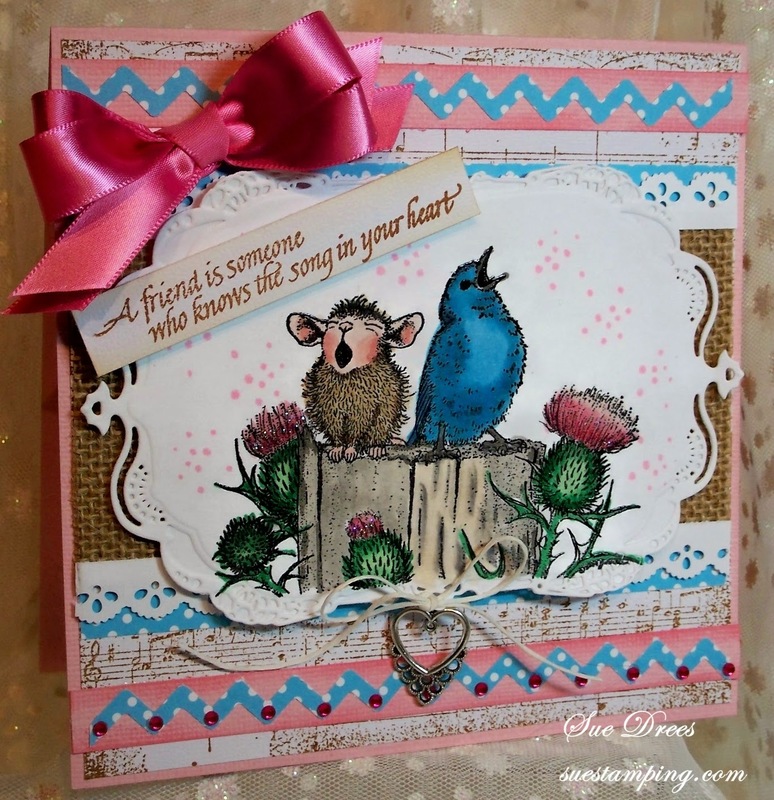 Sue what a sweet, spring like card with you pretty pinks and blues. Love that sentiment. Just darling - a great job. Enjoy your day. Just popping in to see what is posted before spending another day in the yard. Love this card. The image is cute and love the coloring. Love it all in fact. Wow gorgeous sweet card Sue! Gorgeous colouring Sue!! I love the colour scheme that you have chosen...all those layers...FAB!! cute and beautiful card Sue. Beautiful card Sue, adorable image coloured so beautifully and a lovely sentiment. 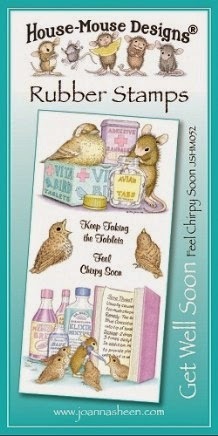 This is a gorgeous card Sue, I love your adorable image, there are lots of lovely layers and such a wonderful design.